A swimming pool can provide the perfect backyard getaway for you and your family. Pools are not only a great place to relax and spend time together, but also a wonderful way to stay in shape and enjoy better health. Aqua Pearl Pools can help you enjoy your swimming pool even more with our residential pool service—we’ll take care of pool cleaning and pool maintenance so your swimming pool will be ready to use whenever you want it. Your pool should be a clean, safe, and beautiful place to spend time with your family. When you work with Aqua Pearl Pools to maintain your pool, you’ll enjoy the benefits of a picture-perfect pool without needing to dedicate your free time to pool care or cleaning. Proper pool care requires the right tools for the job. Aqua Pearl Pools will bring everything that is needed to maintain your pool, including chemicals and tools, so you won’t have to purchase or store these items at your home. 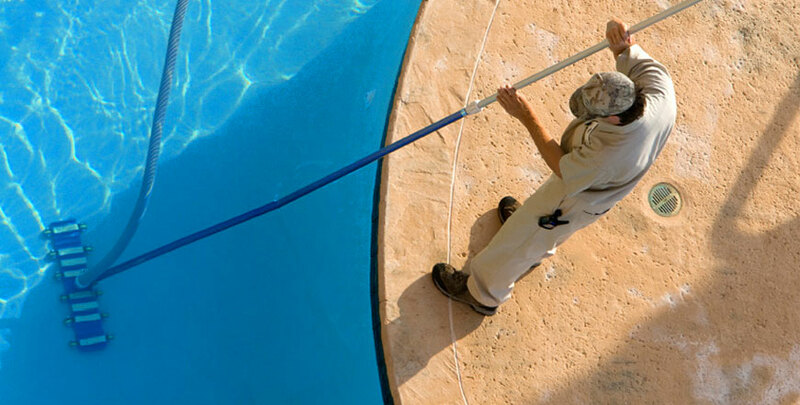 Even simple pool maintenance takes time to complete properly, and maintenance must be performed diligently. When you hire Aqua Pearl Pools to handle your pool care, you can enjoy more free time in your own personal schedule. Aqua Pearl Pools will ensure that your pool is ready for winter or summer so you can rest assured that your investment is protected at all times.